We just got our first glimpse at the first new high-definition Zelda game, and it looks truly insane. 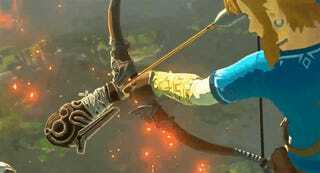 Zelda is going open-world. Series producer Eiji Aonuma announced the game during the Nintendo Digital Presentation this morning, promising that this Zelda will feel totally different thanks to their open-world structure. It looks like a cross between Wind Waker and Skyrim.